I couldnt belive it when I saw these in Glamour for FREE!!!!!!!! £2 an issue!! I had to snap up all 3 of course!! 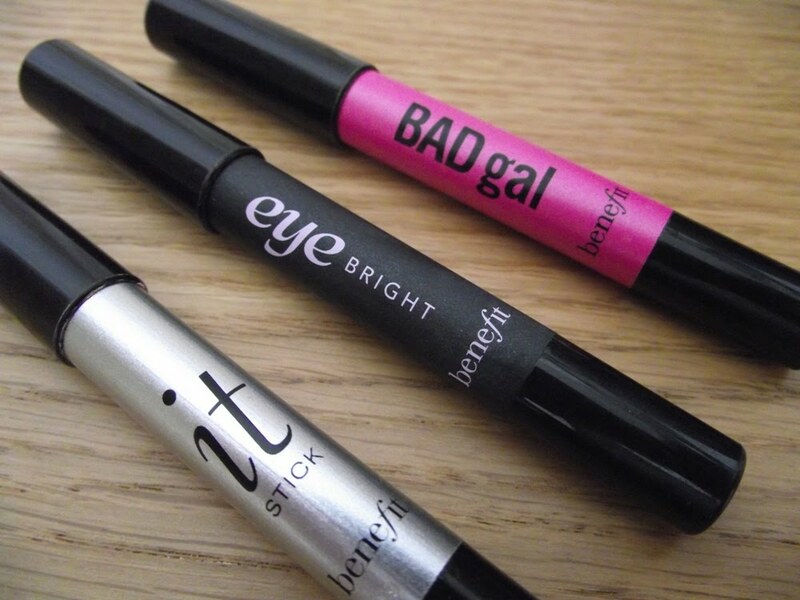 Well I know this was a few months ago BUT Im so loving these pencils my favourite has to be BAD gal. I've been reaching for this every morning for the past week, just to finish off my eyes. I apply it on the outer lower lash a quarter of the way in and then smudge it along the rest of the lower lash line so its softer towards the inner corner. Again same on the top lashes. I must admit though I didnt have the right brush to do it... confession... I used my concealer brush ( hold head in shame ) BUT it has worked a treat and blends it exactly how I want it. NOTE to self : must purchase an Eyeliner brush!! was thinking of something cheap & cheerful Elfs eyeliner brush £1.50 any other suggestions?? I have a VERY and i mean VERY sad brush collection!! I really need some good decent brushes.. but can't really afford Mac at the mo... Im a great believer in investing though as I do have a Mac168 and love it so much!!! Did anyone else snap these beauties up? ?